Drew Barrymore, is that you?! 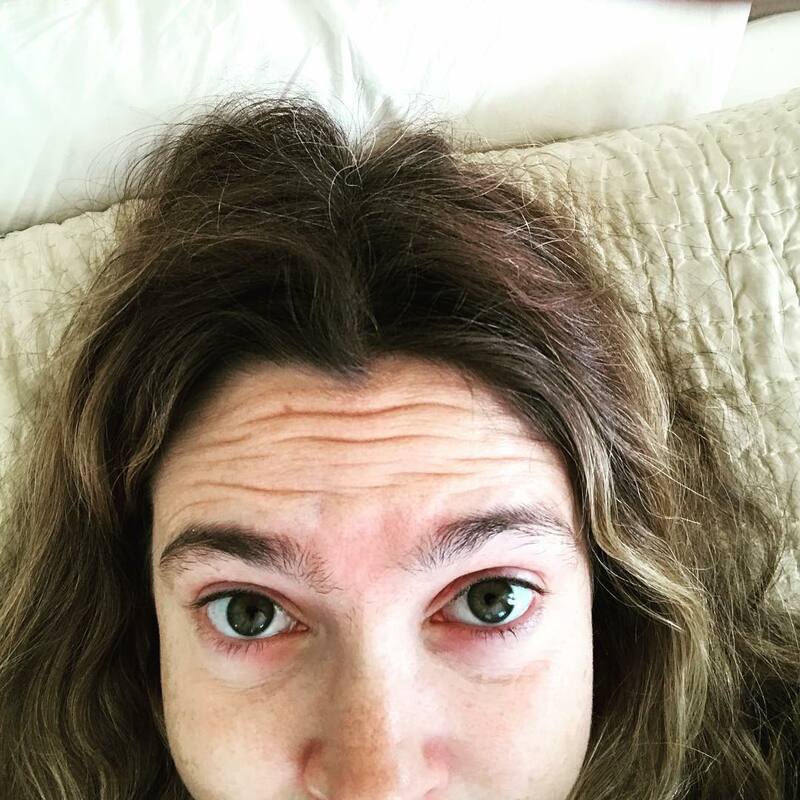 Recently, the "Santa Clarita Diet" star gave fans an up-close-and-personal look at what she really looks like when she takes it all off (makeup, that is) in one honest selfie on Instagram. Showing off her unplucked eyebrows, gray roots and filler-free wrinkles on her forehead, the mom of Olive and Frankie wrote, "#becomingsheila OH MY GOD How did I let it get this bad. Base and brows needed. Must become her. #santaclaritadiet here we go again. Season two." Fans were quick to applaud her realness and flooded the comments section with praise after she shared the post. "You were only a few hairs short of reaching MONO-BROW status," one fan joked with a smiley face emoji. And another fan wrote, "Bless your soul for showing every part of a woman. You are an inspiration at every level. If every woman (especially in Hollywood) had your courage and truth the world would be a different place. ❤️ ." In her Netflix series, Barrymore plays a California real estate agent who is living a quiet life with her husband and teenage daughter when she suddenly undergoes a transformation that leaves her with the taste for blood. Season 2 of the series is set to be available to live stream in 2018. As she preps for the next season, it looks like Barrymore is planning on keeping it real by sharing her beauty regiment with fans. In July, the star shared one of her favorite nighttime beauty rituals with her follows by sharing a selfie in a mud mask. Keep on keeping it real, Drew!